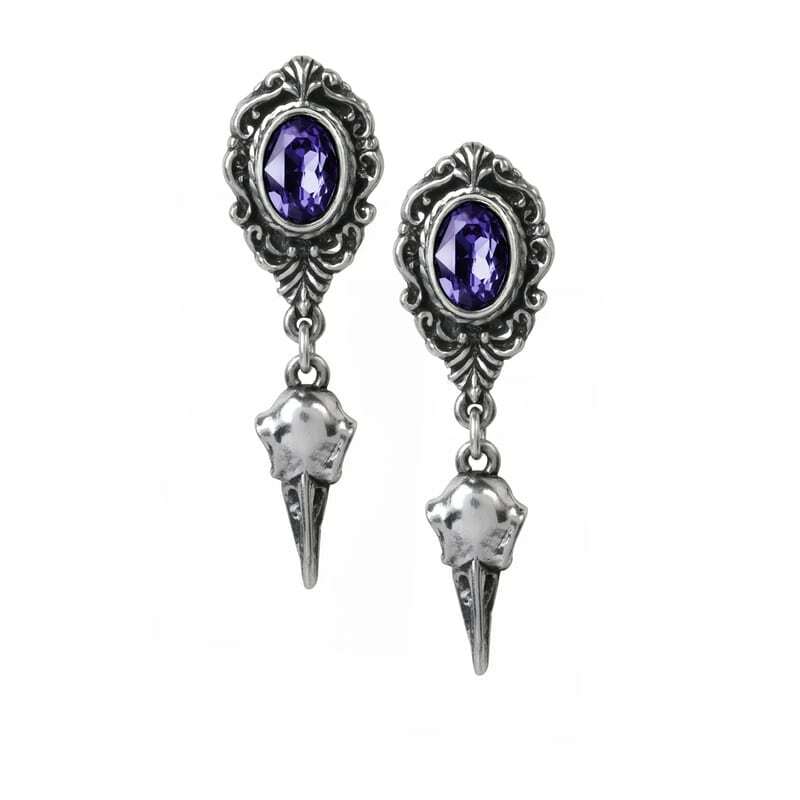 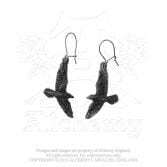 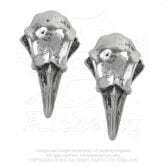 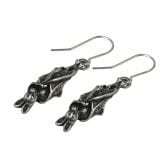 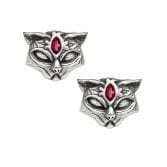 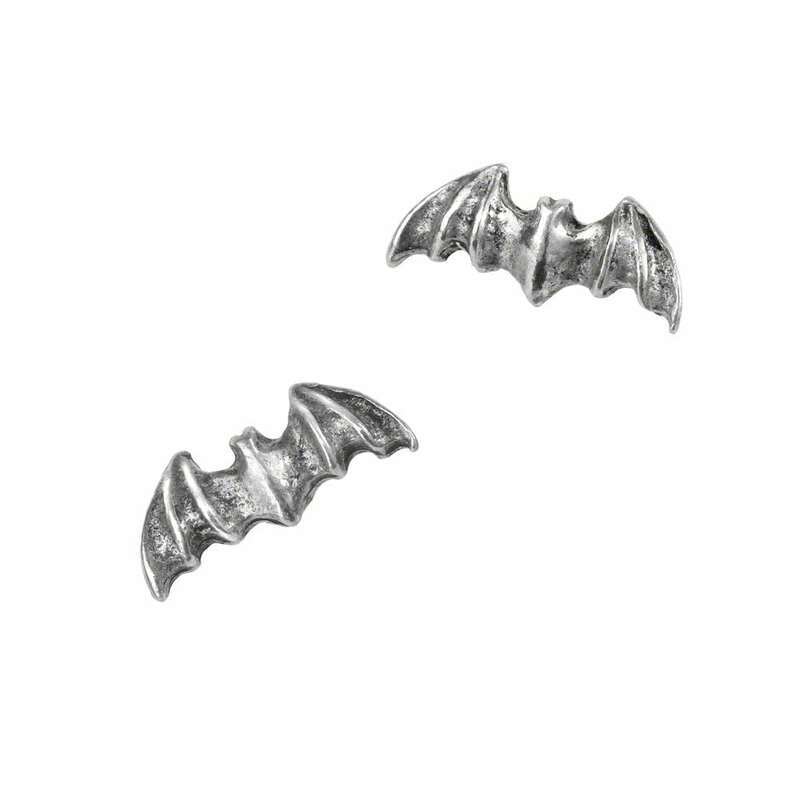 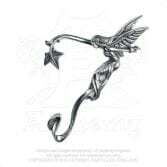 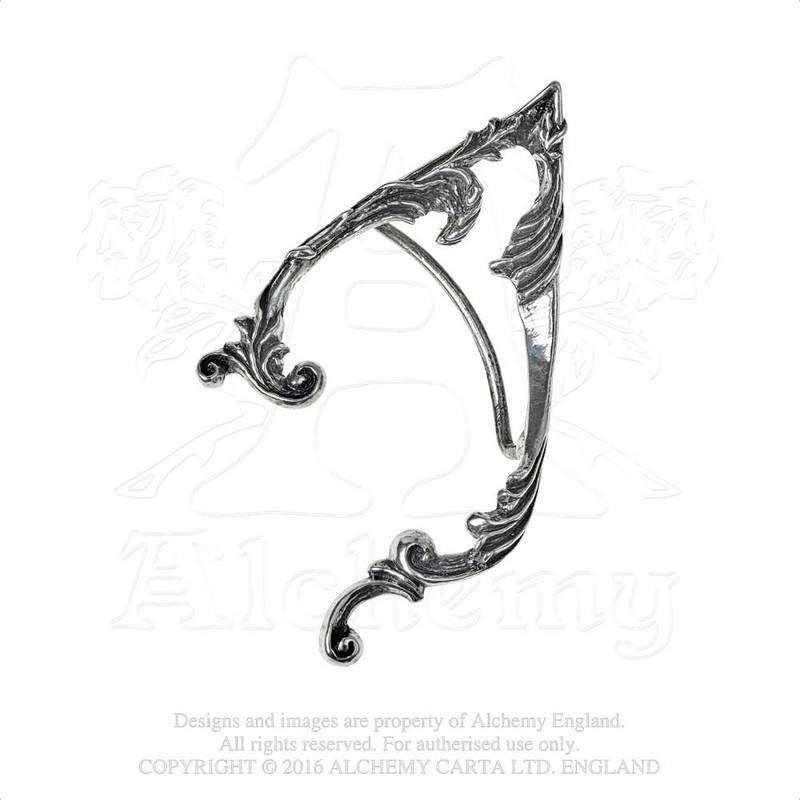 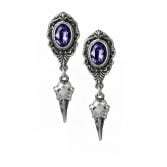 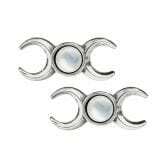 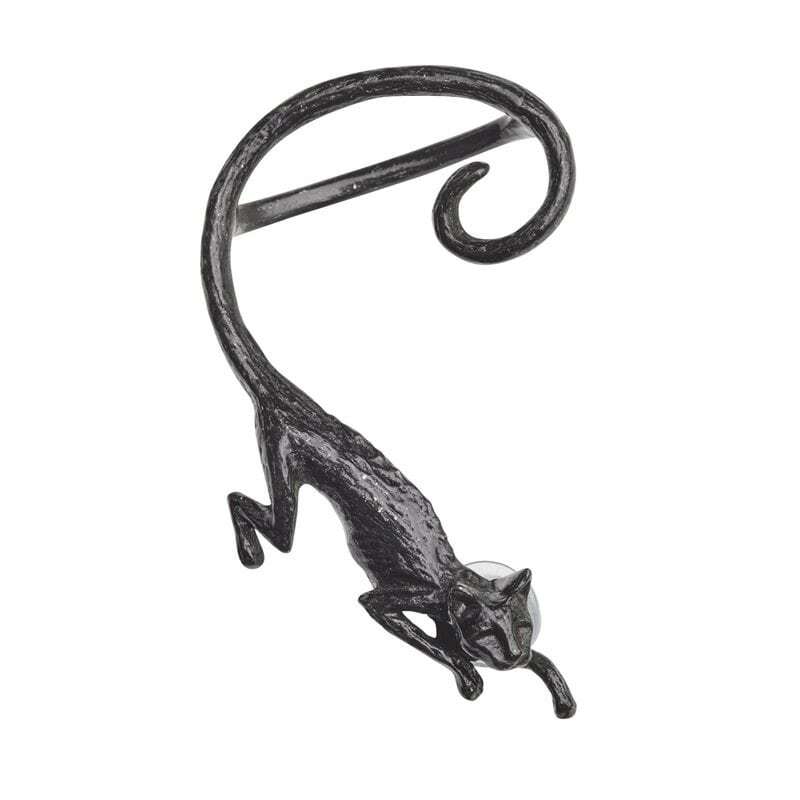 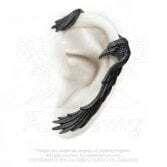 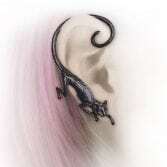 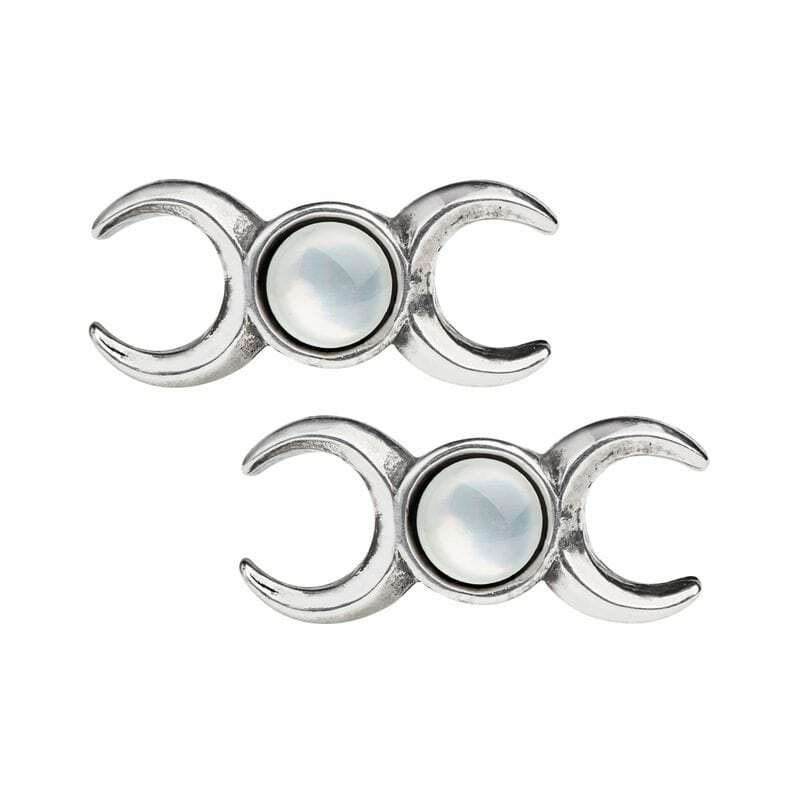 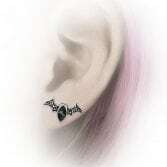 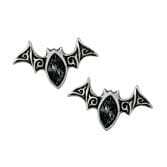 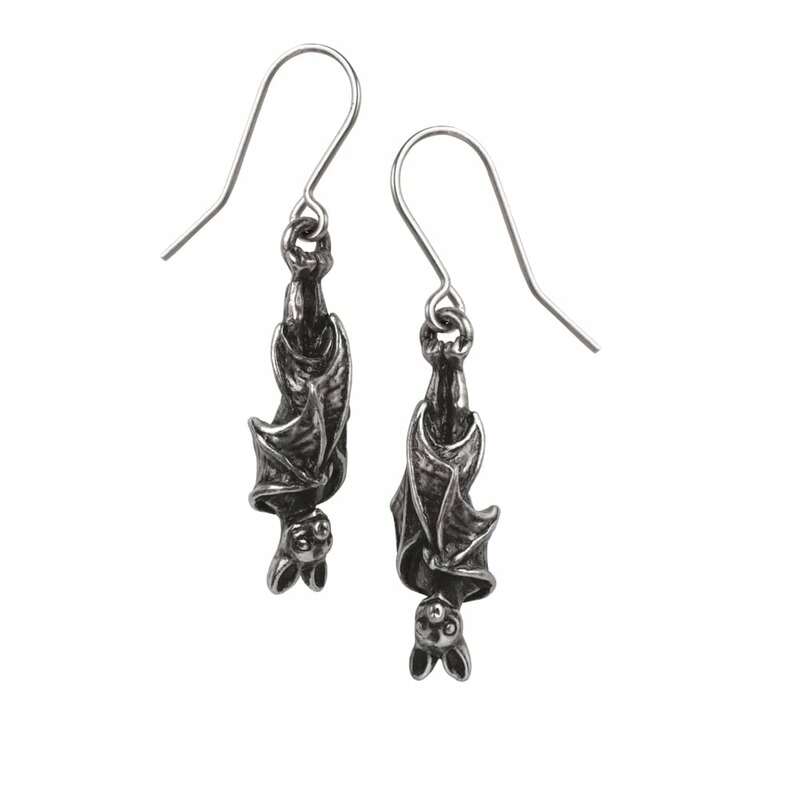 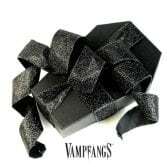 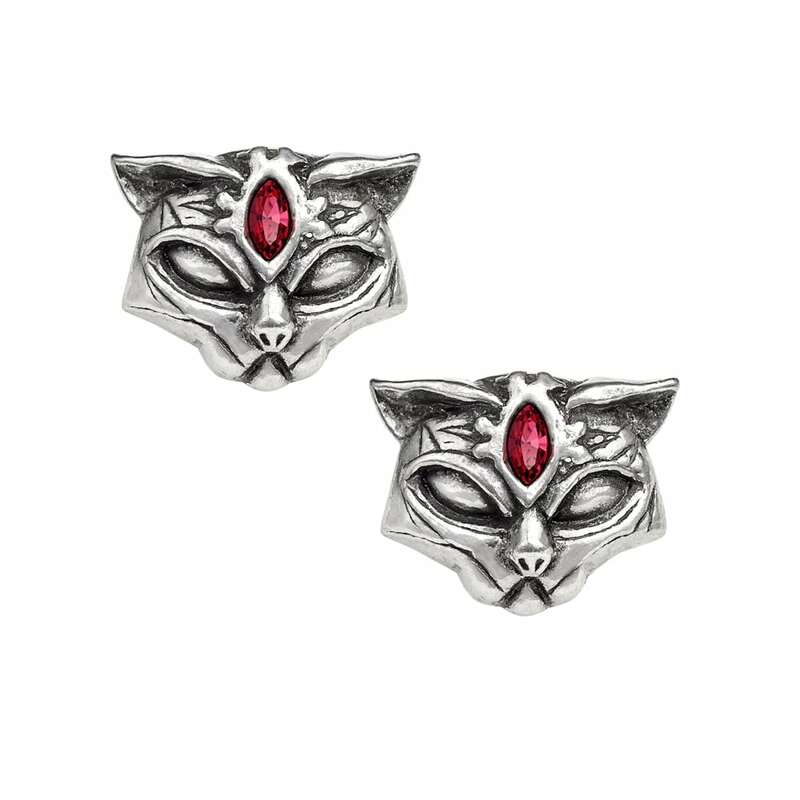 A pair of pewter ear studs in the form of small, stylized bats with vesica-shaped black crystals; with surgical steel ear-posts. 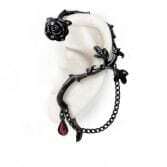 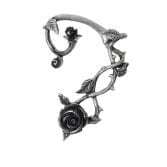 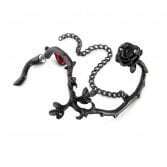 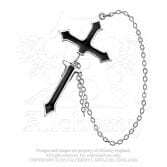 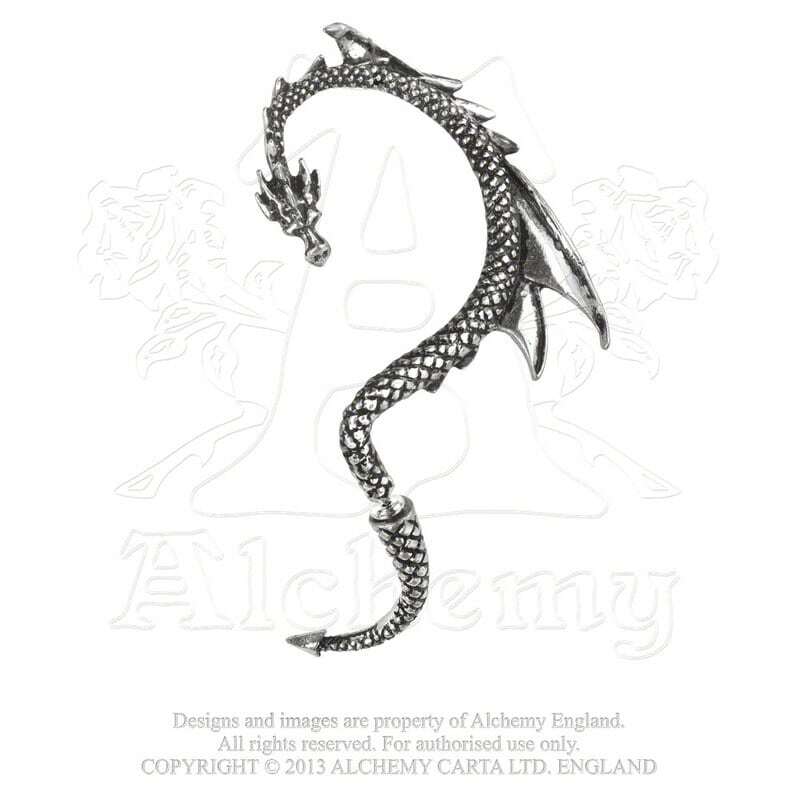 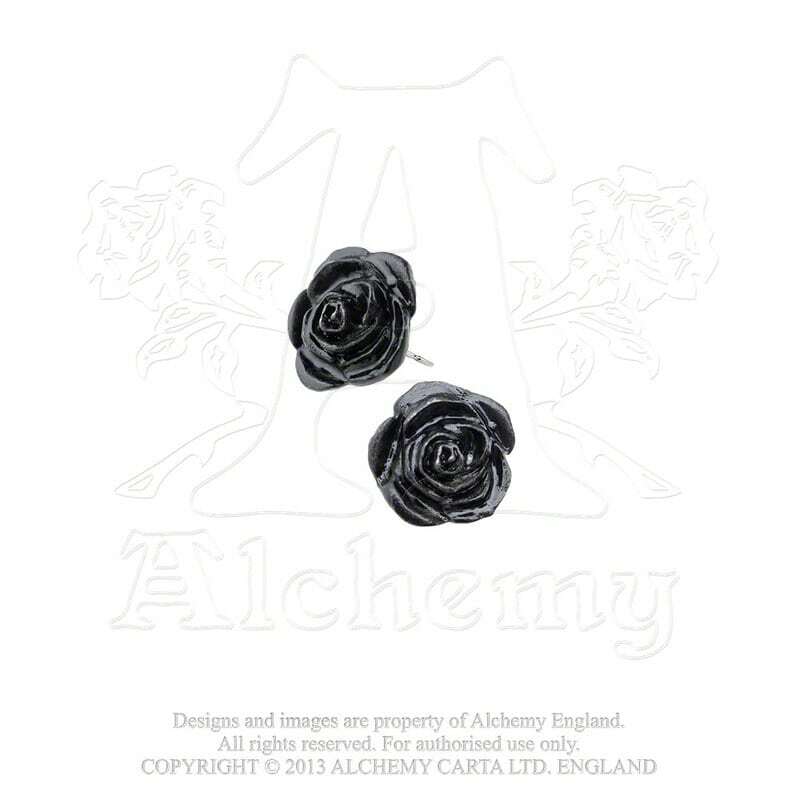 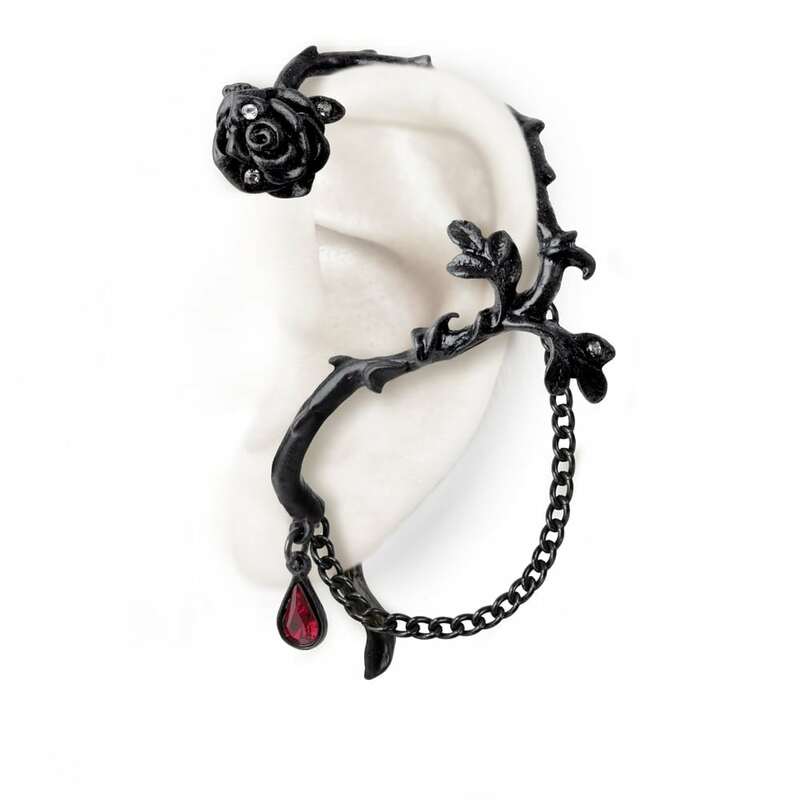 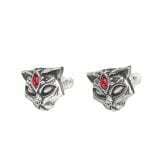 This faux-stretch style black pewter rose ear-wrap, is studded with clear crystals, and a red crystal dropper. 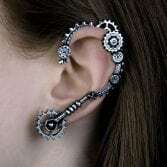 A safety chain loops around the back of the ear. 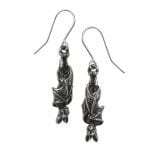 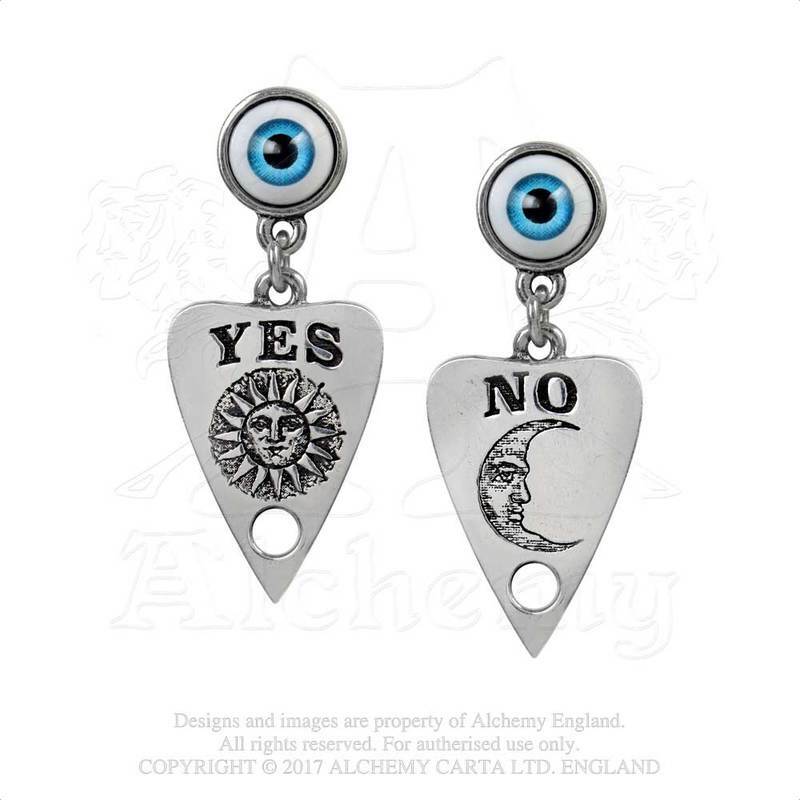 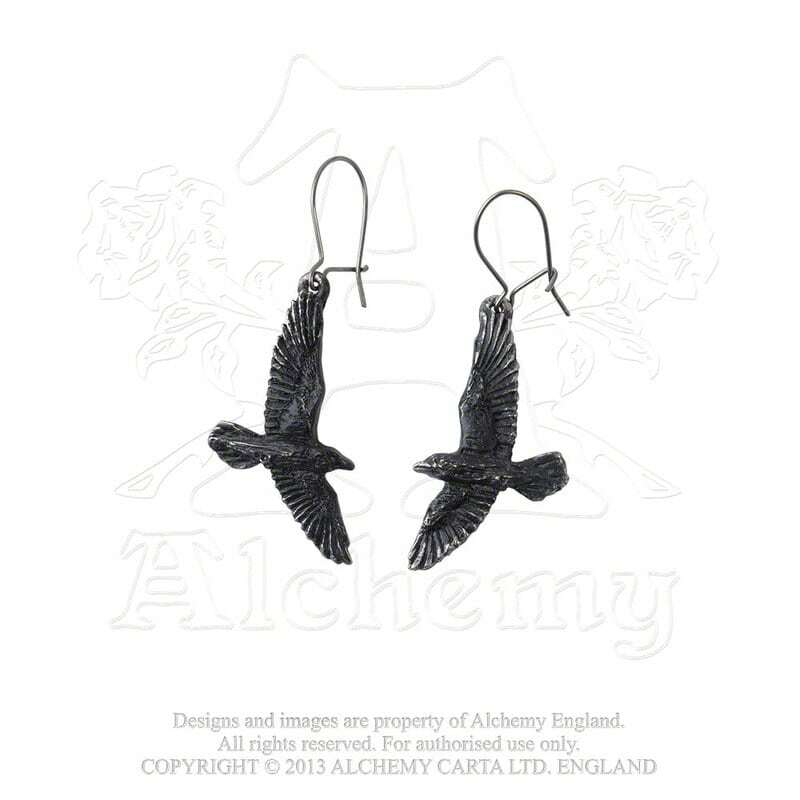 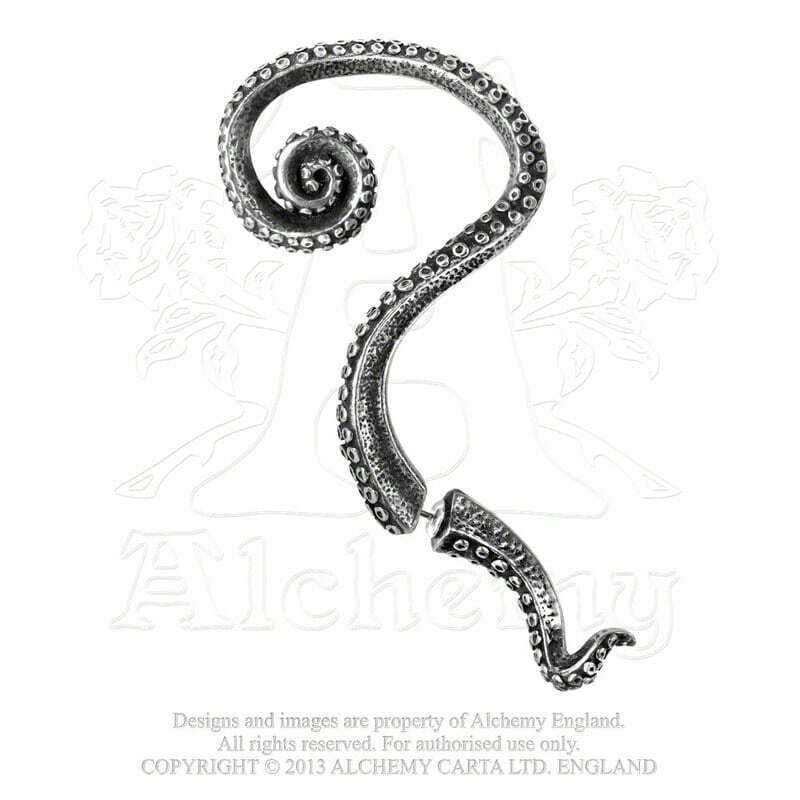 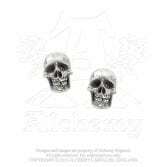 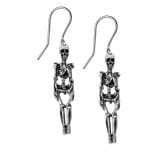 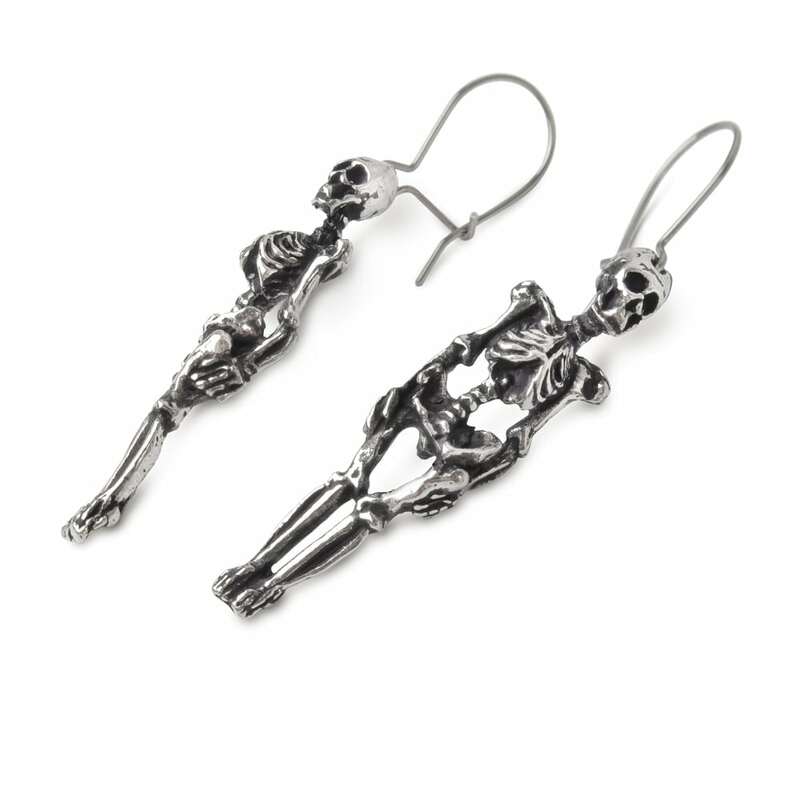 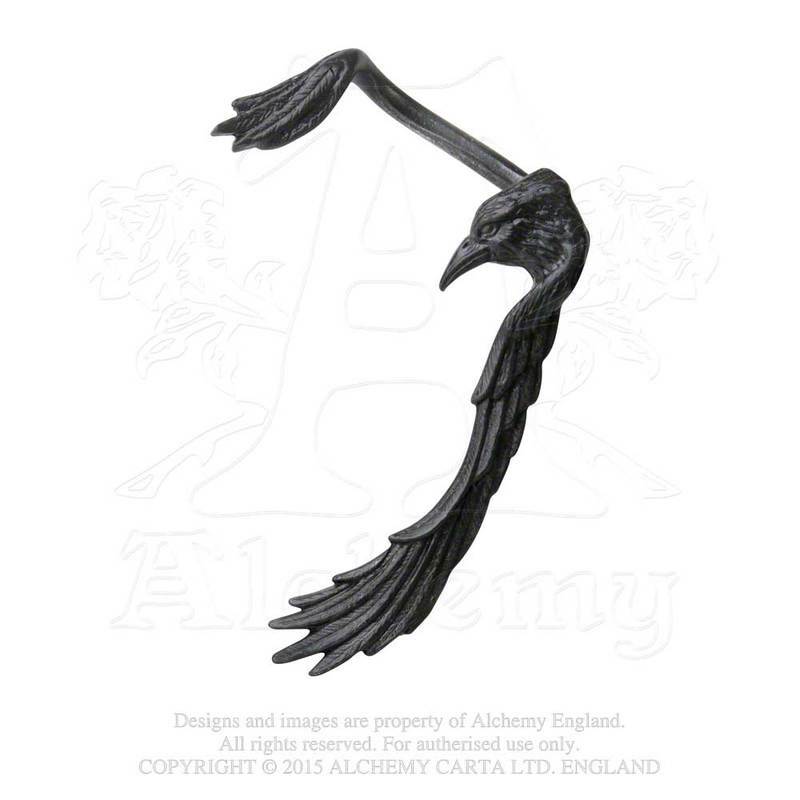 English pewter earrings. A likeness of the Egyptian black cat warrior and protectress, bringer of joy and goddess of sexuality and the moon. 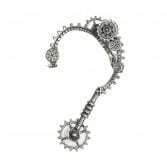 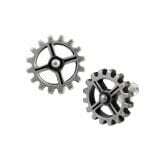 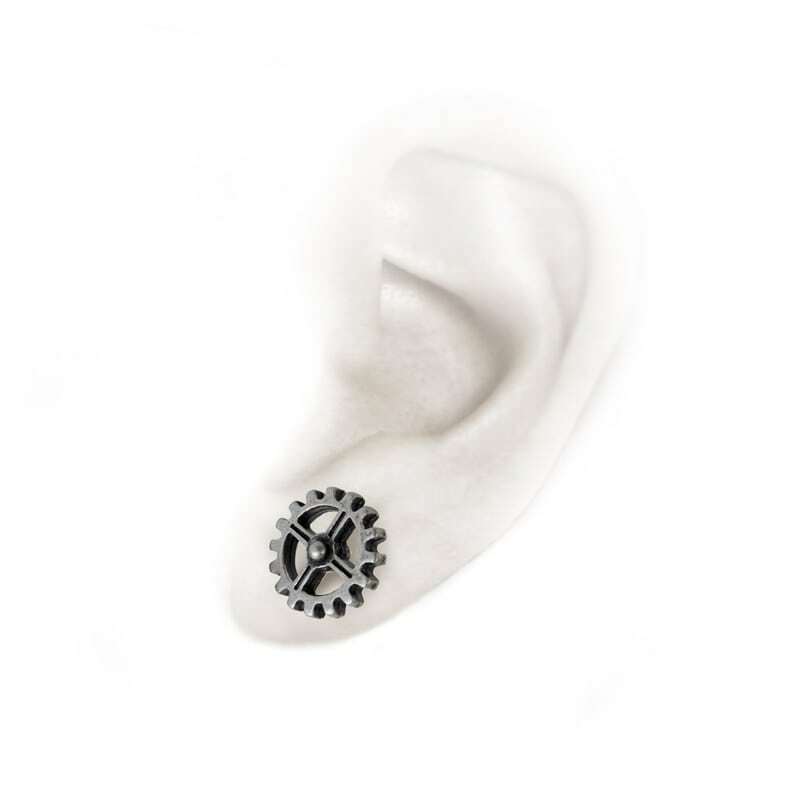 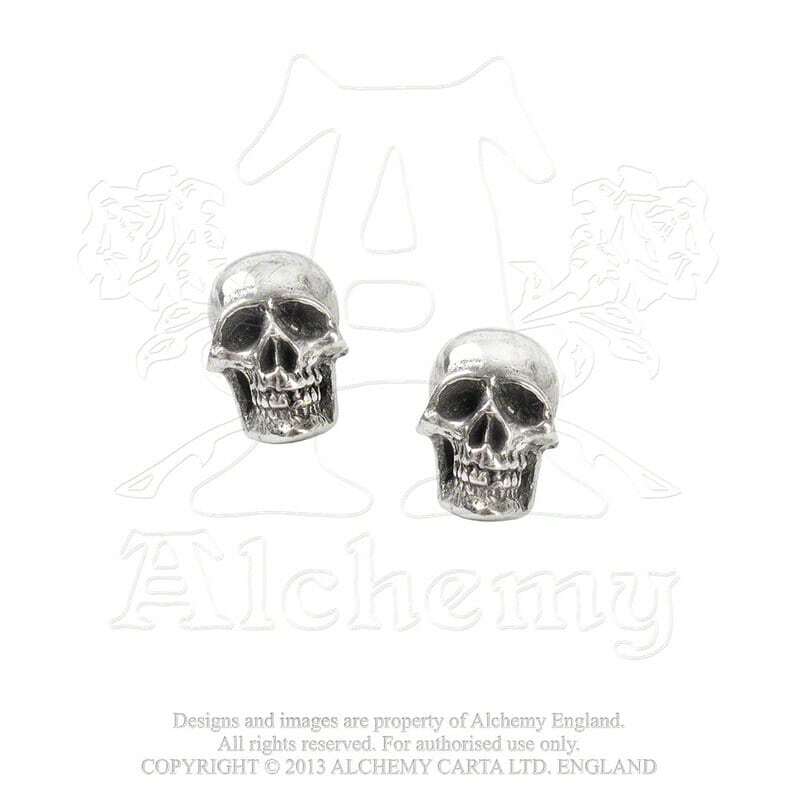 A pair of robust, but fine pewter cogwheel ear studs, on surgical steel posts and plastic scrolls. 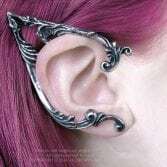 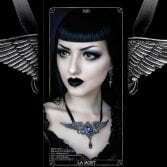 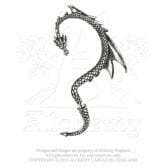 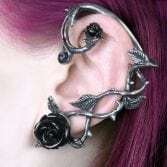 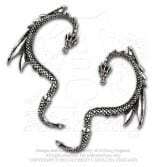 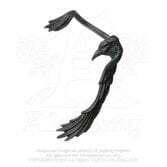 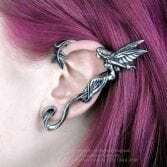 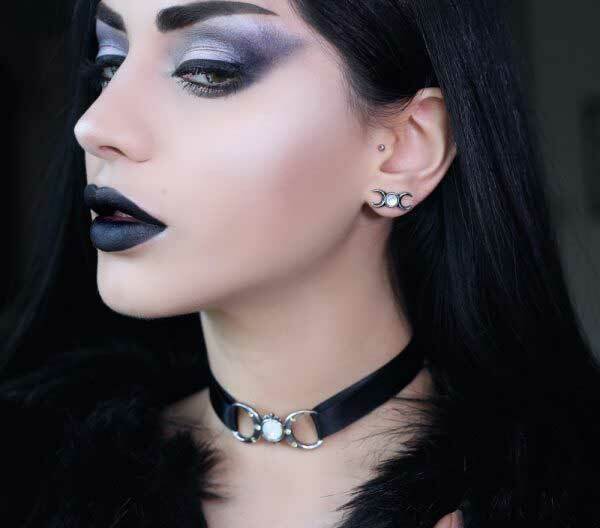 Earrings, wraps, cuffs and other ear accessories.